, and it has recently become available to businesses and locations in 30 additional countries in Asia. Any business located in a region where Google Places is available (now more than 100 countries) can sign in to Google Places at any time to claim or update their listing. And for those of you specifically located in South Asia (Pakistan, Sri Lanka, Bangladesh, Maldives), Southeast Asia (Macau, Cambodia, Myanmar, Brunei, Laos), Western Asia (Kazakhstan, Uzbekistan, Kyrgyzstan, Tajikistan, Turkmenistan), North Asia (Nepal, Afghanistan, Bhutan, Mongolia), and the Pacific (Fiji, French Polynesia, New Caledonia, Guam, Papua New Guinea, Northern Mariana Islands, Vanuatu, Solomon Islands, Tonga, Samoa, American Samoa and Palau), we warmly welcome you and invite you to check it out! People often use the Internet to look for businesses in their nearby vicinity. For example, a mother in Karachi might be trying to find a dentist for her teenager, or a young professional in Colombo may find himself in need of a computer repair shop. People also go online to research places they might visit when traveling, such as a dive shop in Palau, a backpacker hostel in Kathmandu, or a cooking class in Phnom Penh. 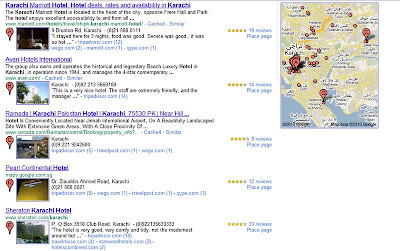 Because of this increasing trend in which people search online to find local establishments, business owners all over the world are realizing how simple and easy it is to reach their target customers through free business listings on Google.com and Google Maps. We’ve been gradually expanding access to our online database of local information, called Google Places, and it has recently become available to businesses and locations in 30 additional countries in Asia.